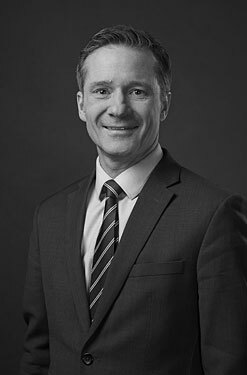 Prior to joining Burstall LLP, Darren was a Partner at a national law firm. Darren practices primarily in the areas of Private Capital, Real Estate, Franchising and General Corporate Law. Darren has extensive experience working with clients and issuers to expand their business or complete a project through private market financings, equity financings and debt financings. Darren also works with a number of dealers and issuers with regards to regulatory compliance and ongoing registrant obligations. Darren has extensive experience in structuring issuer clients to raise equity through various entities such as public and private corporations, limited partnerships, joint ventures and mutual funds. Darren has worked with dozens of start-up franchises to create the initial franchising procedures and structure. In addition, he advises clients on all aspects of franchising including: compliance with Canadian franchise legislation, cross boarder franchise expansion, disclosure requirements, purchase and sale of franchises, termination and renewals, franchise financing, dispute resolution and intellectual property issues. Darren has also worked with a number of real estate developers and builders and routinely advises clients on a diverse range of real estate matters, including: real property acquisitions and dispositions, financings, and creating various structures for property development. He also practices in business and corporate commercial law, including corporate governance, mergers and acquisitions, share and asset purchases and corporate restructurings.